Cops said Samuel Hengel shot himself after 5-hour standoff at high school. The 15-year-old Wisconsin boy who took his teacher and 24 classmates hostage at gunpoint in a five-hour ordeal before shooting himself has died of his wounds, police announced today. The gunman, identified as Marinette High School sophomore Sam Hengel, was prounced dead by the county coroner this morning, Marinette Police Chief Jeff Skorik said. Police have no leads on the boy's motive. He was described by classmates as quiet but likable, and the principal called Hengel a good student. "He's the one person who could answer the 'why' question," Marinette County District Attorney Allen Brey said. "We'll all speculate. We'll all wonder. Were there any warning signs? The one guy that could give us those answers is gone. ... We may never truly know why this happened." The Hengel family released a statement this afternoon, saying "Our family is extremely distraught over the events that have taken place over the course of the last 24 hours that have concluded with the passing of our son." They said they wished they "knew and could provide the insight to what led Sam to take these drastic acts" and "there were no indicators to make us think something was wrong." His family described Sam as someone who was "active in the Boy Scouts, tae kwan do, loved his iTouch and was an avid outdoorsman." He loved hunting and fishing, and "anything that included his family and the outdoors," topics his classmates used when talking to Sam while he held them hostage. The coroner has ordered an autopsy including toxicology tests, but Skorik said he had no reason to believe Hengel was under the influence of any kind of drug. Today, as the blue-collar, ship-building town struggled to understand, they gave thanks for one teacher whose efforts prevented further tragedy. Valerie Burd, a 10-year veteran, stayed on the phone with police while the gunman refused to talk and directed arriving students to the safety of the library. Today her supervisors praised Burd for her calm and bravery in a dangerous situation. 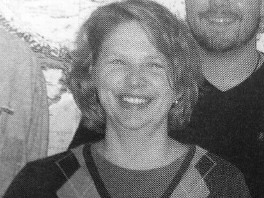 "She saved the lives of many students by her calm demeanor," Marinette High School Principal Corry Lambie said. "I made her aware of how proud I was of her," Lambie said. "Her leadership in that classroom was the calming attitude that the students needed to get them out of there safely." Marinette School Superintendent Tim Baneck echoed the principal: "I can't say enough about the dedication of the teacher who was really instrumental." Last fall the school went through training drills about how to respond to a potential school shooter, Baneck said. It is unclear if Burd took part in that drill. The students in the classroom took a cue from their teacher, engaging Hengel in hours of small talk to try to ease the tense situation. "I was scared for the first two hours. My legs were shaking," sophomore Austin Biehl said, but "overall, everyone remained calm, and just kept talking to him." Lambie said the students "handled it perfectly." On Monday afternoon, police received a phone call from the principal, alerting authorities that a students in a western civilization class were being held at gunpoint on the campus. The class was watching a film about Greek myths when Hengel left the classroom after asking to use the restroom. Police believe he then stopped by his locker and returned moments later with a duffle bag. "I was watching the movie and he came in. I wasn't paying any attention to him and I just saw some of my classmates see the gun and then everything just got really serious," Biehl said in an interview on "Good Morning America" this morning. Hengel pulled out a gun and shot the movie projector and ordered classmates to hand over their cell phones, police said. He broke his own phone when it rang. He was carrying two pistols and a knife, police said. Additional bullets for the two guns were in the backpack. Michael Arnold was one of the students Burd turned away from the classroom. "The door was closed, the lights were out," he said. "But as we started going we immediately heard a loud bang." Nevertheless, officials said the hostage situation wasn't discovered until a parent, who was concerned his daughter had not answered his phone call, came by the school. Lambie said he went to classroom to find the girl, only to be confronted by Hengel. "The student threatened me with the gun and told me to step back," Lambie said. Hengel was calm throughout the exchange, he said. Lambie left the classroom, but not before one student -- the daughter of the man that called -- was able to exit the classroom with him. Immediately afterwards, Lambie said he called the police. Police set up a command center inside the school. They reached the teacher by telephone, but Hengel refused to talk. Worried families gathered at the Marinette County Courthouse where they awaited for news from the scene. "Heartbreaking. Heartbreaking," parent Lura Keller said Monday night. "I can't believe it's happening." At 7:40 p.m., Hengel released five students who told him they had to use the bathroom. One of the hostages, Zach Campbell, told The Associated Press that the class tried to keep the gunman calm by talking about fishing and hunting. "We just wanted to be on his good side," Campbell said. Campbell said the gunman seemed depressed, but "didn't really seem like he wanted to hurt anybody." Biehl said the gunman "was just waving the gun back and forth at the ground ... wasn't really threatening anyone." About 20 minutes later, gunshots rang out and police broke down the door. "As the officers approached him, the suspect fired one shot and injured himself in a self-inflicted gunshot wound," Skorik said. At a news conference today, Skorik praised the students in the class who he said were "remarkably calm in extremely stressful conditions." Police recovered shell casings from a .22-caliber semiautomatic and a 9mm pistol from the scene. "The shots were fired into walls, into some objects inside of the classroom. That information will be fleshed out in the hours and days to come, there's still a crime scene analyst there processing the scene," said Skorik. Seemingly everyone involved, from Hengel's classmates to school administrators, is dumbfounded by his actions. "He was an outdoorsman. He liked hunting and fishing," Lambie said. "I was unaware of any problems with this particular student. He was a student in good standing." Students were left wondering why a fellow classmate would resort to this. "He was a good student, he wasn't talkative in high school really, but he never seemed like he would do something like this," student Kordel Brezsko said. Classes at the high school were canceled today, but Lambie said school will be back in session Wednesday. "With what happened yesterday, we understand there is a fear factor, but as the adults and the leaders in the building, we need to take care of our kids," he said. "Students at Marinette High School are safe." ABC News' Jennifer Metz and The Associated Press contributed to this report.